Christoph von Schmid has been a favorite author for many of our collectors. 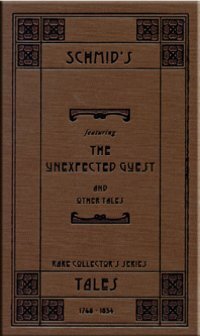 This new edition, a compilation of von Schmid's short stories, including The Unexpected Guest, The Unexpected Return and The Silent Girl, beautifully illustrates God's loving provision and perfect plan. In our darkest hour, we can rest assured that God is an ever-present help in time of need.